Under the Occupational Safety and Health Act (OSH Act) and its substantive regulations, covered employers are subject to certain safety and health audit requirements. For example, covered construction industry employers must institute a safety and health program that provides for “frequent and regular” inspections of jobsites by “competent persons” to ensure compliance with the Occupational Safety and Health Administration’s (OSHA) construction standard. OSHA’s construction standard states that employers are required to initiate and maintain programs that provide for frequent and regular inspections of jobsites, materials, and equipment by competent persons. The regulations explain that a “competent person” is someone who is specifically designated by the employer and capable of identifying existing and predictable hazards in the surroundings or working conditions that are unsanitary, hazardous, or dangerous to employees, and who has authorization to take prompt corrective measures to eliminate them. Compliance with the standard requires the employer and the competent person to have an understanding of applicable OSHA standards. It also requires an ongoing and significant commitment to developing and effectively implementing an overall employee safety and health program and promptly abating hazardous conditions when they arise. Employers must evaluate the workplace to determine if any spaces are permit-required confined spaces. Employers must establish a program consisting of energy control procedures, employee training, and periodic inspections to ensure that before any employee performs any servicing or maintenance on a machine or equipment where the unexpected energizing, startup, or release of stored energy could occur and cause injury, the machine or equipment shall be isolated from the energy source and rendered inoperative. Employers must assess the workplace to determine if hazards that necessitate the use of PPE are present or likely to be present. If so, the employer must select, and have each affected employee use, the PPE that will protect him from the hazards identified in the hazard assessment; communicate PPE selection decisions to each affected employee; and select PPE that properly fits each affected employee. It isn’t possible to list all of the audit or other requirements here. Compliance requires employers to engage qualified experts, internally or externally, who are familiar with the OSHA standards. If you don’t have the resources to employ a full-time safety director, there are reasonable outside options to help you get into compliance, including safety and health consultation services. Some insurers may provide those services as an added value to their clients. Ultimately, an employer that fails to conduct or manage the results of required audits is exposed to potential liability associated with noncompliance. OSHA’s current penalty structure starts at $12,934 per incident for serious or other-than-serious violations and $129,336 per iincident for willful or repeat violations. In some cases, OSHA has applied an “egregious penalty” policy to penalize an employer on a per-instance or per-employee basis, stacking or multiplying penalties based on the length of the violation or the number of employees exposed. There are limits on OSHA’s ability to apply that policy, but you should be aware of it. An employer that conducts the required audits but fails to properly manage the results can be exposed to significant liability, including citations for willful violations of the OSH Act. 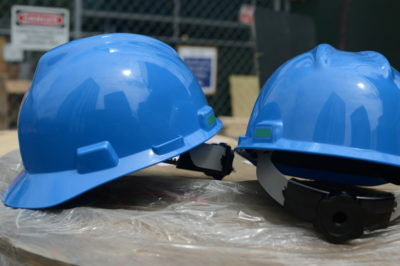 Although its focus is generally on the current inspection, during the course of an inspection, OSHA will periodically request that an employer produce information about previous audits, irrespective of whether they were performed in-house or by an outside consultant, including the findings and any actions taken to address them. In some cases, OSHA will request the information from the employer and separately from the outside expert or insurance agency. There are some defenses to an overly broad request, but the agency has been successful in its efforts to obtain some of this information. An employer that conducts required audits and properly manages the results can achieve significant benefits, including enhanced employee safety and health, reduced work injuries, lower worker’s compensation premiums, and favorable treatment from OSHA on both citation and penalty matters. According to the agency, if an employer permanently remedies a condition identified in a self-audit before an inspection takes place (and before an accident or other event triggering an inspection occurs), it will not issue a citation. If, on the other hand, an employer has identified a hazardous condition and an OSHA inspection finds the violation before it is abated, a citation may be issued. The upshot? Your good-faith efforts to address an audit, albeit insufficiently, will generally benefit your organization. Conversely, if you ignore the results of an audit, OSHA may cite you for a willful violation. Employers have a duty to comply with their audit obligations under the law and properly manage the results. Courts have stressed that the OSH Act doesn’t impose absolute liability on employers for noncompliance, but the law requires diligent efforts to comply. Troy Thompson is a Partner at Axley Brynelson, LLP. He is also an Editor for the Wisconsin Employment Law Letter and can be reached at tthompson@axley.com.